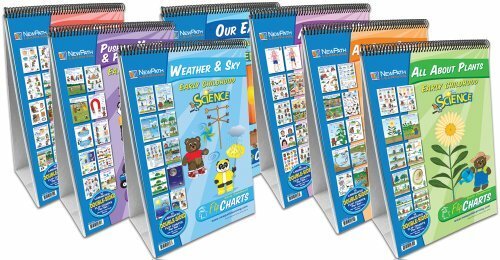 NewPath Learning 7 piece science readiness flip chart set. Includes the complete set of seven science readiness flip charts: all about plants (34-0021); all about animals (34-0022); our earth (34-0023); weather and sky (34-0024); exploring matter (34-0025); pushing, moving and pulling (34-0026) and all about me (34-0027). Academic standard: California, Florida, National, New York, Texas.